Gabriela Lungu is the founder of WINGS | Creative Leadership Lab that helps companies to elevate their creativity and creative people to soar. She has been a senior creative executive for over 13 years. She has worked for more than 20 years in the creative sector for top firms in advertising, PR and social, in different countries, cultures, and environments. 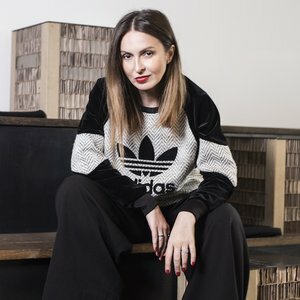 She is a multi-award-winning creative director, and a creative entrepreneur, building an agency from scratch, growing it to become one of the most awarded agencies of its kind, and then selling it to Publicis Groupe. She was UK & EMEA CCO for Weber Shandwick, and Creative Partner for Airbnb at TBWA/London, to mention just some of her most recent roles. Gabriela is often invited as a speaker at major international and local industry events, and to judge A-list competitions; she was Jury Chair for Clio Awards and Dubai Lynx, and has been part of the juries of D&AD, Cannes Lions, EFFIE UK, SABRE, Campaign Big Awards, Ad Stars, Dubai Lynx, Eurobest Young Creatives, Young Lions, Young Lynx etc. In 2018 she was a tutor at Cannes Lions School, world's biggest creative campus.